What is Driving Data Center Growth? While businesses are drowning in data they find themselves starved for information. Trends in mobility, social media, and customer analytics can create an exponential explosion of data in your business. Business applications, email archives, file sharing and more all drive us to hoard and store data like never before. Regulatory compliance requires many industries to archive data. 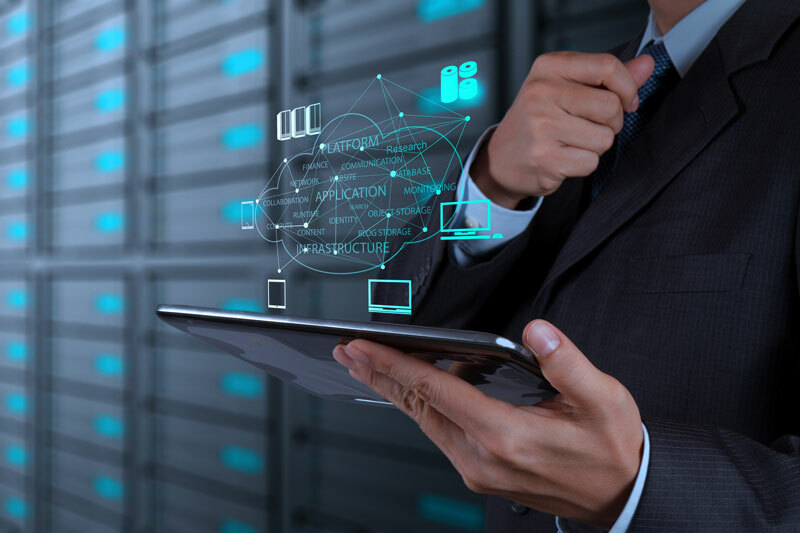 Additionally, low-cost storage allows businesses to easily accumulate data on a range of devices including desktops, laptops, and on-premise services. Many companies turn to economical options including Infrastructure as a Service for Application Hosting and Failover to store and protect this data. How can a Business Benefit from Infrastructure as a Service? Infrastructure as a Service (IaaS) is a way for businesses to use cloud computing to tap into computer resources over the Internet. The Cloud Computing model allows businesses to avoid the Capital Expense (CapEX) of investing in infrastructure. The business owner only pays (rents) the portion that is consumed. This utility computing model is adopted by most businesses today and helps alleviate some of the concerns related to managing your own data center. Data security tops the list of concerns of data center managers. These concerns include physical access and Cyber threats. In addition to security, capacity management and power management are top priorities for data center managers. By turning to a utility model, such as IaaS, business owners avoid these issues and risks. As a result, data center managers benefit from the economy of scale. Chances are your business will generate more data this year than it has since its inception. Understanding what’s in your data center is a good place to begin to understand your needs and challenges. There is no reason to go at this alone. Contact your technology advisor to find out more about how your business can manage and protect its data with confidence and ease.